Ildar Abdrazakov, an exciting performer in the title role as Attila. Violeta Urmani, a woman warrior, who fights her lover for the privilege of killing the enemy, her husband. Ramon Vargas at the top of his form in Attila. 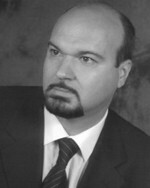 Giovanni Meoni is a smash hit as Ezio, a role he stepped into at the last moment. 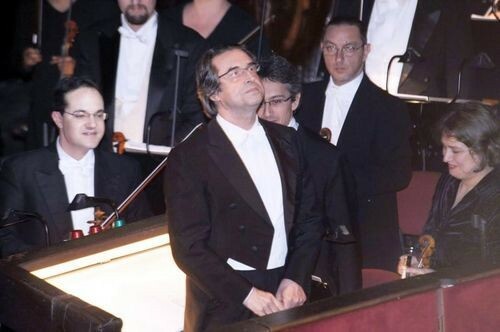 Maestro Muti contemplating the totality of his work. Riccardo Muti, one of the world’s great conductors. Set design by Jacques Herzog & Pierre deMeuron. From the first pianissimo rumbles of a C minor chord struck in the Prelude to Attila, we know that Verdi inhabits the conductor, Riccardo Muti. He had not appeared with the Metropolitan Opera before the evening of February 23rd with the debut of Attila, an early opera by Verdi. In the hands of a consummate interpreter, with a non pareil cast, this opera is as compelling as any production the Met mounts. The Met went all out to make Muti happy, and for us, that's a special treat. Maestro Muti knows exactly what he's doing. It is fascinating to watch him conduct. No one is as aware of everything going on around him. The orchestra below in the pit has been rehearsed more than usual, and enjoys the work, because Muti is clear about what he wants. In Muti's hands the music soars and thrills. What Verdi has written and intended unfolds before us. The set for the Prologue and Act I is a dramatic pile of columns and supports from the buildings of Aquileia outside of Rome, where Attila has just devastated the city. The chorus is on stage level. 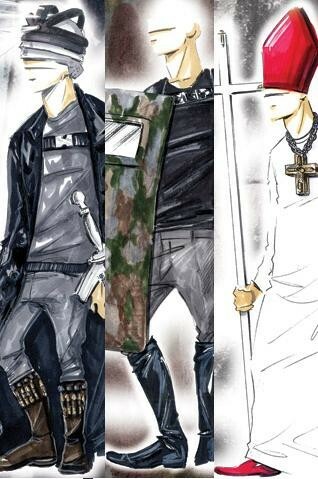 Unusually buff, the onstage crowds were cast to meet the demands of one of the set and costume designers, Miuccia Prada. While the soprano Violeta Urmana is not shaped like a devilish stick she looked splendid in her Pradas. The other set credits go to Pritzer-award winning Swiss architects Jacques Herzog & Pierre deMeuron. They are an interesting choice. The effect of both settings is both massive and planed, like the architects other work in lower Manhattan. The principals often sing on a raised platform. Where the first set is all rubble in brown and grey with harsh lines, the set for Act II and III, is a lush version of the swamps around Venice. As the verdant set is struck by the sun, it suggests a glorious Italian future. This set puts James Cameron to shame. This is a picture of the world the Italians will have if Attila accedes to Ezio, who sings the famous, "You may take the universe, if I can take Italy." Why not unleash Jean Kalman, the superb lighting director, to make even more of the detail? Field Marshal Radetsky kept reporting home to Austria that the Italians were getting ready to rebel against their Austrian occupation. Although he could barely mount a horse at 80, once on, he would ride for 8 hours. His last child by a Milanese washerwoman was born when he was 79. Inspired by seeing a performance of Attila, he returned to Vienna, and reported that the end for the Austrians in Italy was near. There's some debate about Verdi's political references to an independent, united Italy. They do not seem debatable in this production. The magisterial sets reflect the importance of the chorus in this opera. Verdi had written the librettist Piave, who he ended up dismissing as too 'pacific', advising that he read the Werner play on which the opera is based. "Pay attention to the choruses. They are wonderful." Sometimes the chorus on stage level drowns out even the largest voices, like Urmana's. This may well have been the composer's intent. Yet in a production that focuses on fascinating characters, it might well be reconsidered. The sets also seem to inhibit the principals' movement. The singer who suffers most from these restrictions is the magnificent bass Ildar Abdrazakov. Not only does he have a dramatic, resonant voice he is also a superb actor. He i virile and moving like a panther set free. The playwright had created a complex Attila, sensitive, romantic, a dreamer. These traits surprise in the barbarian most of us recall from high school. Odabella is sung by Violeta Urmana who has a beautiful, large voice. When Verdi wrote Attila, he was still composing for specific artists. The German Sophie Loewe had starred in Ernani. She and the composer came to fisticuffs when she'd convinced librettist Piave to write her a rondo to follow the trio which ends Ernani. Verdi, always concerned with the dramatic arc, had promptly cut it. Eventually, they made up and Loewe was back for Attila. Urmana braves an entrance in the prologue on high G and almost immediately has to hit a C in 'Santo di patria.' This is tough stuff for a singer. Other composers might have given the lines to a horn. While, on Tuesday, Urmana had some problems, by Saturday, she had settled in. Perhaps, because she warmed up right behind the curtain as the lights were rising in the house. Urmana is the go-to soprano for many roles today. In Tosca ,at the Lyric in Chicago in January, she sang with two voices, the upper tessitura detaching. This also happens as Odabella. She is such a pleasure to hear, that one hopes in time her two voices will come together. 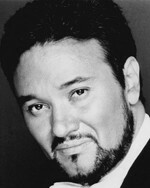 Ramon Vargas' tenor moved across his whole range as one very exciting voice. Giovanni Meoni is startlingly gorgeous, particularly in his second act aria. Samuel Ramey as Leone arrives in a shimmering white robe. 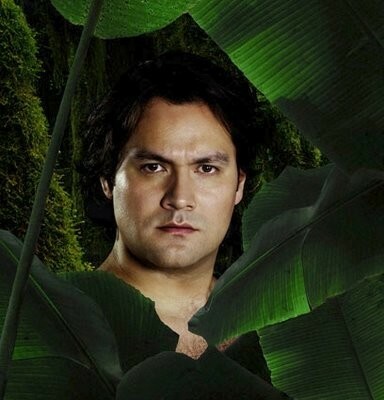 The cameo reminds us that his career was jump started by this role and surely Abdrazakov deserves the same. Perhaps the chorus and set can be adjusted to his interests. Muti as conductor is supreme. One sound image that strikes immediately is silence. How Muti achieves his crisp but not harsh closures is a mystery. But truly and suddenly, no sound at all remains. His silences set off all the more clearly the beauty of the music he calls forth from the orchestra and singers. The audience greeted Muti, one of the world's great conductors,with bravos before he even picked up his baton. We must respect the choices Muti has made or chosen to approve in this production. We applaud Muti's vision. In this Attila all the facets of the opera meshed brilliantly. Bravo Muti. Bravo Mr. Gelb for presenting him at last.